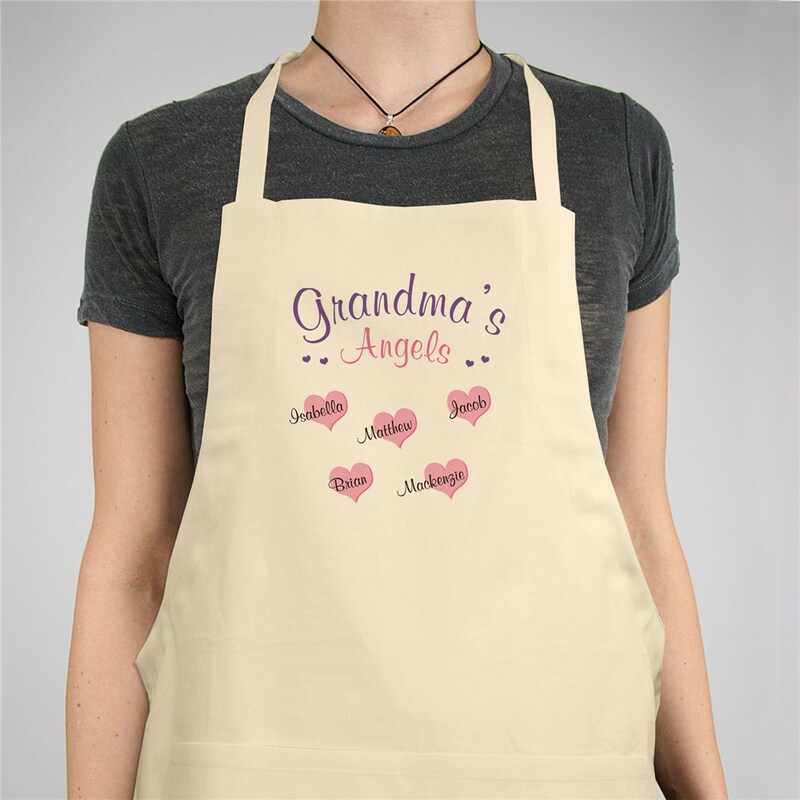 Your Grandma is going to love making a special Family Dinner while wearing Personalized Aprons. She will look great cooking and will keep her clothes clean for dinner with the family. Create a Personalized Chef Apron with any title and up to 30 names. 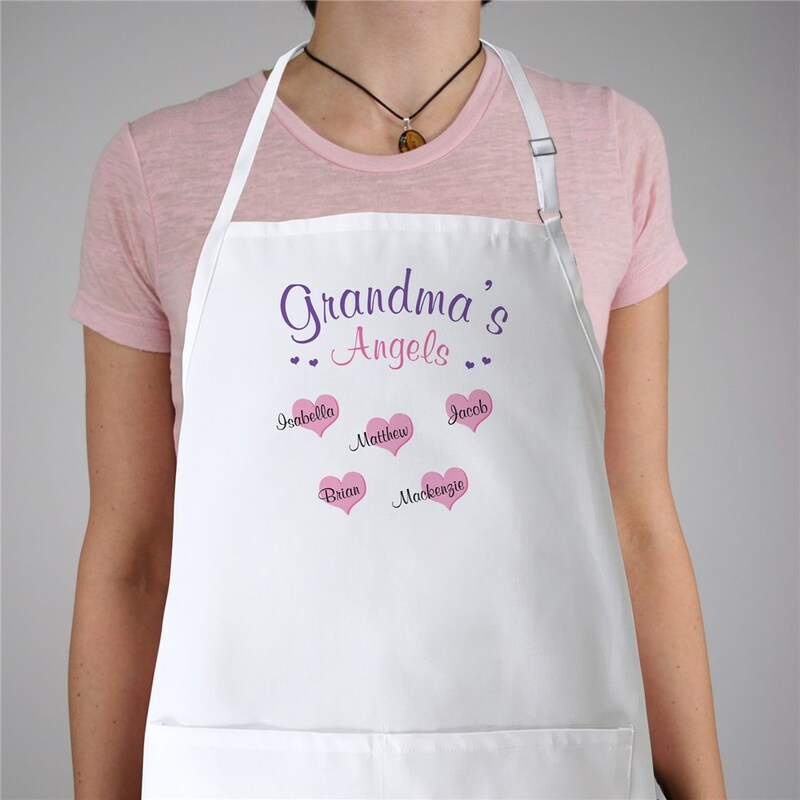 Personalized Aprons can have any title; may we suggest: Mom, Grandma, Nana, Aunt Betty or any special title. White Apron is made of 65/35 cotton/polyester twill fabric, Natural Apron is made of 100% cotton natural canvas fabric.